Employees don’t want to turn to managers for every purchase. Individual cards give your team the money they need at precisely the moment they need it. Real time bank data, no lost receipts, no late reports, no wasted time. Easy export to your business accounting system. Track expenses in real time across projects or teams. Delegate budget control approval and allocation authority to team leads or managers. Managing petty cash and employee expenses costs businesses more than they think. Levima helps control spend without compromising simplicity, security or affordability. Leave your email address and we get in touch. We work with world-class partners to bring you a secure spend management solutions. Cards are issued through the MasterCard Network and accepted by millions of merchants worldwide. Sensitive data is stored in PCI DSS compliant data centre. In contrast to business credit cards, prepaid cards do not require a credit check and you can't get into debt. We start using aio* at our first conference at the NEC. It was fantastic to give the team autonomy around the hall and during our stay in Birmingham, while giving us confidence in our cost control. aio* is more than just expenses, it empowers teams to move forward, and fast if need be, while providing important visibility and control to accounts and management. Recommended! Legalesign is a high reliability, secure, real-time legal eSignature & contract management platform with industry leading customer support. We started using aio* because the team was working on projects in different countries and locations - it was becoming very hard to keep track of expenses. As a small team the time spent dealing with receipts felt particularly wasteful. aio* has been a great solution. Not only has it been really easy for the team to use, but for the business it has allowed us to bill back charges to clients more accurately and keep on top of project budgets. Great tool for our business. Would definitely recommend it. 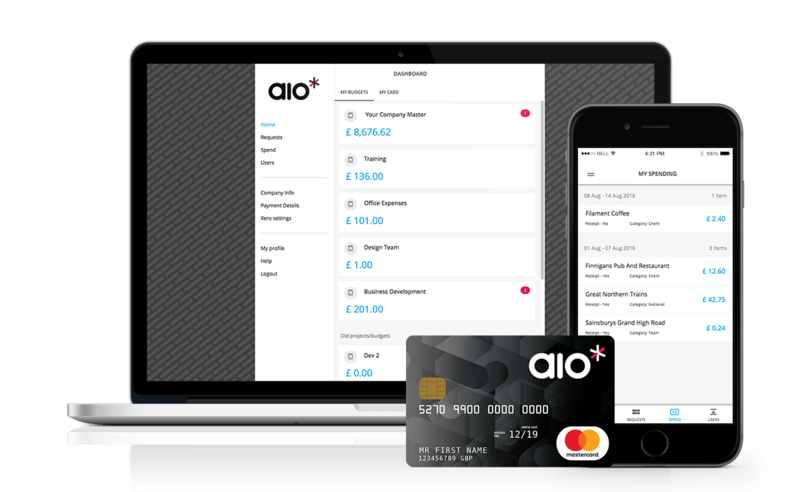 We chose aio* as an alternative to credit cards for the business. It offers us all the benefits of a card, but gives me total control of our cashflow & confidence that we won't overspend or get stung by unexpected credit charges. It really gives me peace of mind about our business spend & as a bonus has massively reduced the amount of time I spend on admin when it comes to keeping the books in order. Very happy! Findr connects you with the best photographers who can create exactly the work you need, when and where you need them.